As much as I don't like candy corns, I am a sucker for all things candy corn colored. This candy corn punch (which uses jello at the base to add a little flavor, but mostly the color the the layered drink) will probably make it appearance at our house on the 31st of October. Especially since the Halloween birthday girl just looked over my shoulder and said "Oh! That looks good!" 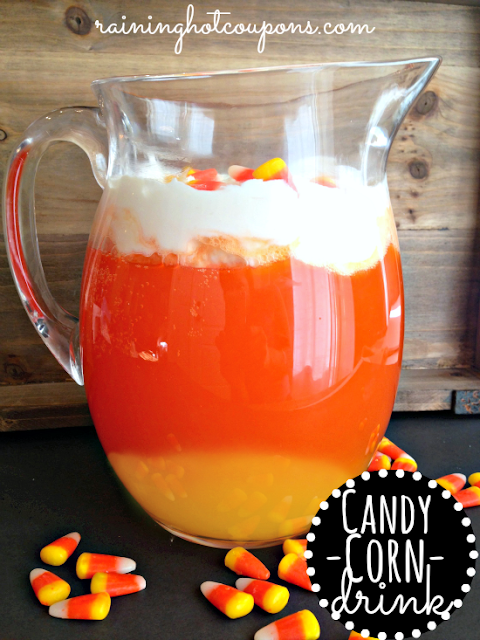 You can get the recipe for candy corn punch over at Raining Hot Coupons.